About 150 Indians from regions such as the US, the UK, China and Europe are among the 3,500 participants who have registered for a two-day Aadhaar application hackathon to be held in the first week of June. The event is the first-of-its-kind online hackathon. HackerEarth will be scanning these codes in real-time. At the event, teams of students, engineers and coders from India and abroad (of Indians with Aadhaar numbers) will be coding for two days to come up with applications based on the Aadhaar platform. According to data from HackerEarth, the highest participation within India is from Bengaluru (about 1,000), followed by Delhi, Pune, Mumbai, Chennai and Hyderabad. Participants from tier-III cities such as Baddi (Himachal Pradesh), Hassan (Karnataka), Amritsar (Punjab) and Asansol (West Bengal) have also registered. Haridwar, Chandigarh and Kolkata account for a substantial number of participants. Pramod Varma, chief architect of the Unique Identification Authority of India (UIDAI), believes hackathons such as these will help create awareness and popularise the use of applications. “We have reached a milestone of about 850 million people with Aadhaar numbers. I think this is a good enough database to really start popularising it. Last year, we, along with Nasscom, decided to start a series of hackathons. The idea is to let the next generation create these apps. This is the most efficient and cheap way of creating application on Aadhaar APIs (application programme interfaces) for the benefit of several users,” he says. The target is to complete a billion Aadhaar registrations by the end of this financial year, he adds. The hackathon is being conducted by AngelPrime, a seed-stage venture capital fund based in Bengaluru, HackerEarth, Khosla Labs, Microsoft Ventures, Nasscom and UIDAI. This is the second hackathon for the Aadhaar application. Earlier this year, Khosla Labs, Nasscom and UIDAI conducted an offline hackathon, in which 100 developers participated. 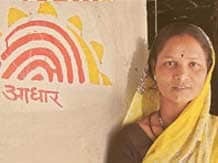 To popularise use of Aadhaar APIs for building applications, UIDAI and Nasscom plan to hold six to eight major hackathons through this year and the next. They also plan to hold small awareness programmes. Sachin Gupta, founder of HackerEarth, says with online hackathons, the reach becomes easy. “With offline hackathon, place is a concern. Since we want to reach out to as many developers as possible, the online route is the best,” he says. Aadhaar APIs to be exposed to participants are e-KYC (know your customer) and authentication using biometrics. At the competition, developers will be asked to build products in categories such as government benefits, financial services, payments, health care, fast-moving consumer goods and online plus offline. Additionally, the hackathon will have four offline venues, too — Paytm, Delhi; Ezetap, Bengaluru; Nasscom start-up warehouse, Bengaluru; and Microsoft Ventures, Bengaluru. Sanjay Swamy of AngelPrime says so far, Aadhaar has been used only by governmental agencies and institutes. Such events will allow developers to build apps that can be used by businesses; also, start-up firms could be set up. If an idea appeals to an angel investor, the application might be funded, too. He cites the example of the Maharashtra government, which has come out with an application for change of name using Aadhaar. “Usually, the name-change process takes four month but the usage of an app has brought it down to a few hours. Once you open the APIs to the public, more case scenarios will emerge,” he says. The Aadhaar hackathon held earlier this year had 100 developers; at the end, three emerged winners. The event in June will also have three winners, as well as a special prize for a unique use case. “The winners will be selected on the basis of how well they use Aadhaar, the value proposition and how good the team is,” Swamy said.